This will become your new favorite sidedish or midday snack. It has two ingredients and takes about 5 minutes to prepare. 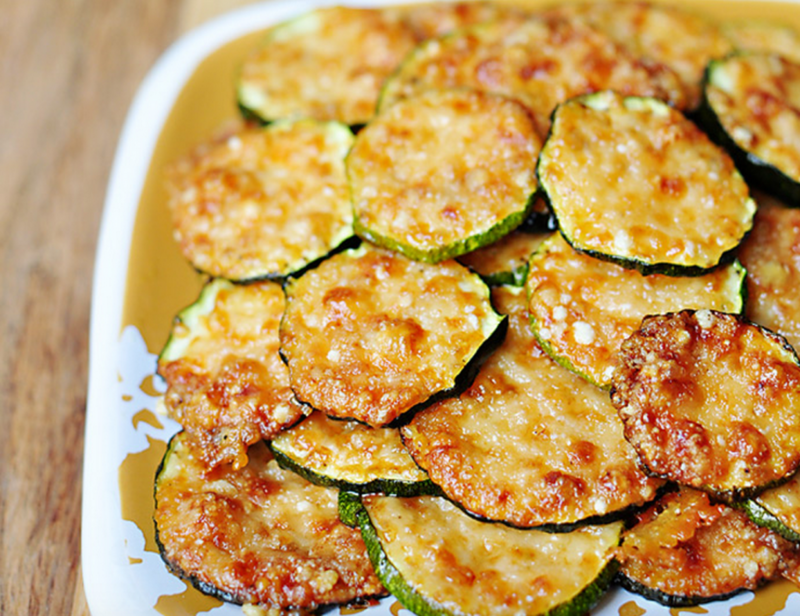 You can also sprinkle some garlic salt on the zucchini before adding the parmesan for extra flavoring. By baking at a relatively high temperature, the zucchini gets nice and soft, with an almost creamy texture, while the Parmesan turns crispy and golden brown. Keep in mind, the zucchini rounds do shrink a bit during the baking process, so make more than it looks like you’ll be able to eat. Wash and dry zucchini, and cut into 1/4-inch thick slices. Arrange zucchini rounds on prepared pan, with little to no space between them. If desired, lightly sprinkle zucchini with garlic salt. 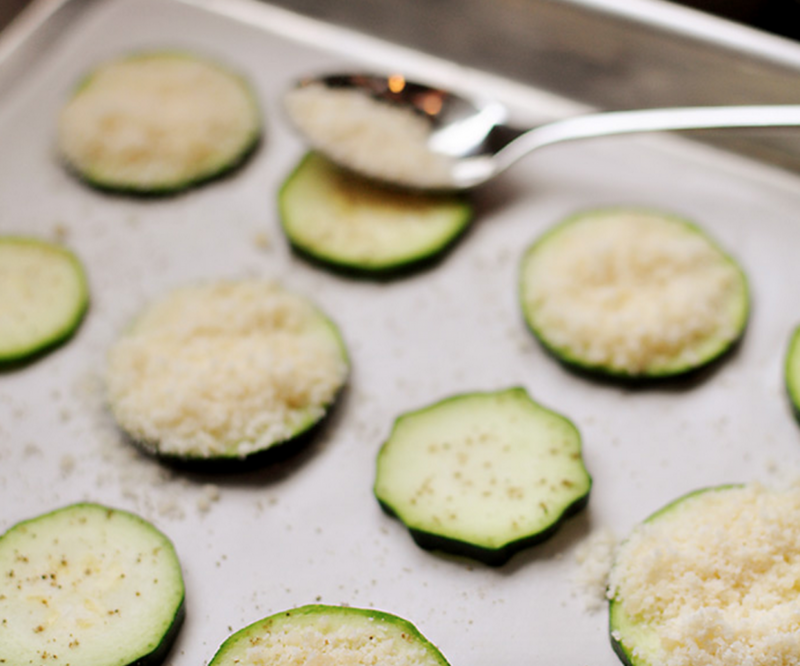 Use a small spoon to spread a thin layer of Parmesan cheese on each slice of zucchini. Bake for 15 to 20 minutes, or until Parmesan turns a light golden brown. (Watch these closely the first time you make them and pull them out of the oven early if the Parmesan is golden before 15 minutes!) Serve immediately.